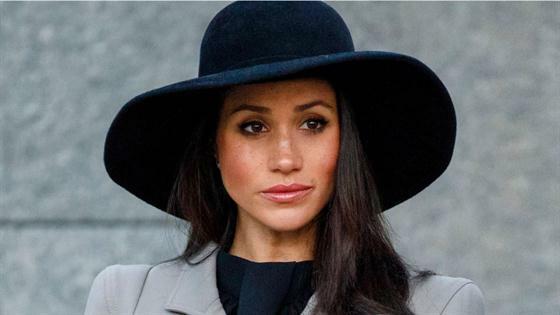 Meghan Markle to Lose 2nd Aide Amid Rumors of Being "Difficult"
Someone wants you to believe that something strange is going on in the office of the Duchess of Sussex. It's been nearly seven months since, in front of the entire world, Meghan Markle wed Prince Harry in St. George's Chapel at Windsor Castle, joined the royal family, and became the first person to hold her title. And from the outside looking in, it seems as though she's taken to life as a princess of the United Kingdom—including all the responsibilities that come with the appointment—like a duck to water. She's kicked off the first of what will surely be many charitable endeavors by throwing her support behind and writing the foreward for Together: Our Community Cookbook, a charity cookbook to benefit the Hubb Community Kitchen, which has helped the survivors of the 2017 Grenfell Tower fire and has seen regular visits from Meghan since January 2018. She, alongside her husband, embarked on a successful tour of Australia, Fiji, Tonga and New Zealand in the fall, just in time for the Invictus Games, held in Sydney in October, where she delivered rousing speeches and undertook her first solo event. Sure, there's been the incessant public squawking from her father Thomas and half-sister Samantha, two people who've never come across dirty laundry they didn't want to air out in public, and the bubbling rumors regarding a feud between her and new sister-in-law Kate Middleton, but on the job front, it's felt as though she's acclimated to the role quite nicely, which tracks for someone who's always held ambitions of changing the world. And yet, the press seems intent on painting a different picture of Meghan's first months as Duchess—one with unusual (at first glance, at least) staff turnover amid rampant rumors over an allegedly difficult and demanding boss. On Sunday, Dec. 9, U.K. publication The Sunday Times reported that Meghan was set to lose a key member of her Kensington Palace staff as Samantha "The Panther" Cohen, the Duke and pregnant Duchess' interim private secretary, has decided she has no intention of making the job permanent and "has let it be known that she intends to leave after Meghan's baby is born next spring." And while the loss certainly marks quite a blow to the Duchess, as Samantha was the one who's been guiding Meghan through "the complexities of protocol" as she's worked to find her place amongst the royal family these last few months, it's not entirely surprising. After all, she only began working for Meghan and Prince Harry on a temporary basis following her resignation last summer after 17 years spent working for the royal family, most notably as Queen Elizabeth II's assistant private secretary and communications secretary. Despite how keen Meghan and Harry might've been to keep her on permanently—and despite a source assuring Vanity Fair just last month that she was "working on long-term projects and is staying put for the time being"—it seems the Australian civil servant was true to her word. "She's not leaving because of any drama with Meghan," an insider told Us Weekly. "She agreed to stay for six months...and knew they needed extra help. Samantha has a lot of respect for Harry and Meghan and enjoyed working for them. But her time is now up." And it's hard to fault the Brisbane native who, in 2001, spotted an ad in the paper for a media assistant at Buckingham Palace while visiting London, applied, and stayed put for nearly 20 years, for wanting to return home to Australia after all her years of service. If she really didn't like Meghan, would she have even agreed to stick around? The odds seem slim to us. What's helping fuel this narrative in the media, however, is that she's not the first to depart. Samantha's departure comes less than a month after it was revealed that Meghan's personal assistant, Melissa Touabti, who managed her schedule and played a key role in royal wedding preparations, had quit after six months in the job. As The Daily Mail revealed, her decision to quit "suddenly" left palace officials stunned. "It's a real shock," an unnamed Kensington Palace source told the publication. "'Why would she want to leave such a prestigious job so soon?" Why, indeed. When Melissa, who it turns out had previously worked pop star Robbie Williams and his wife Ayda Field "longer than she worked for Meghan," a friend of the singer told The Daily Mail, quit her post, Kensington Palace declined to comment on the departure, though a Palace source was authorized to pay tribute to her. "Melissa is a hugely talented person," the source told the publication. "She played a pivotal role in the success of the Royal Wedding and will be missed by everyone in the Royal Household." However, despite that glowing, if conveniently anonymous, review of her work, it was reported by The Sunday Times that Melissa and the Duchess had a "difficult relationship" and the former personal assistant had "put up with quite a lot...and it ended up in tears." And though he wasn't working specifically for Meghan, Edward Lane Fox, Prince Harry's private secretary of five years and the one widely credited with transforming the royal's image from "party prince" following that PR nightmare of a Las Vegas trip to the more serious, hard-working Harry we know today, announced last year that he was leaving his post, but stayed on to assist the couple through the planning of their wedding. Since his departure, Samantha has been pulling double duty, performing his duties for Prince Harry as well as the post tied to Meghan, as well. These departures come as stories about the supposed true nature of Meghan and Harry's behavior during the run-up to the wedding are being reported in the British press with more and more frequency. It's been alleged that Prince Harry got a scolding from his grandmother following his and Meghan's attempt at getting to wear whatever tiara she wanted during the wedding, with an insider telling The Sun that the Queen told Harry, "She gets what tiara she's given by me." (This report flies directly in the face of how Meghan and Prince Harry have publicly described the moment the tiara was chosen, mind you.) She allegedly requested air fresheners be used in St George's Chapel before her wedding guests arrived, finding the "musty" odor in the 550-year old chapel displeasing, with The Daily Mail reporting she was told no on "principle." "Frankly it was all a bit ridiculous and rather over the top," the source added. A tense fitting for Princess Charlotte's bridesmaid's dress reportedly left a postpartum Duchess of Cambridge in tears. And in the new book Charles At Seventy: Thoughts, Hopes And Dreams, author Robert Johnson alleged that a "petulant and short-tempered" Harry told staff with a raised voice, "What Meghan wants, Meghan gets." It's all working to paint a picture of a Duke and Duchess who've become, as one source told The Daily Mail, difficult and "dictatorial." And the easy assumption would be that all this staff turnover is happening as a result. But when one departure was already in the works as of last year, and another was always on its way owing to the temporary nature of Samantha's agreement, is that really fair? Or is this just the latest example of the tabloid press coming down on her, pivoting sharply from the praise that followed the wedding and her pregnancy announcement? "I've gotten to know the people who Meghan has in her work world, and I've never heard a bad word said about Meghan," royal expert Omid Scobie told Us Weekly. "Whether it's members of charities going into the palace for meetings to work with her or household staff, everyone has a pleasurable experience working with her. They've really enjoyed her energy and personality. When you hear reports that she's demanding or a diva, it's hard to see where any of that comes from." And any disagreements over behavior that may arise? Chalk them up to "cultural differences," Scobie said. "I'm sure there are people in the royal household who don't agree with some things that she does or with her delivery," he told the publication. "Americans are direct when it comes to business, and Brits are reserved. So of course some things can be misread at times." With the Palace refusing to comment on any of the negative reports that have come Meghan's way in the last few months, aside from informing The Sun that their reporting on one supposed incident between the Duchess and her sister-in-law never happened, it's hard to truly know what's fact and what's fiction. But what we do know is that as Meghan looks to backfill all these open positions, she might want to start thinking outside of the box. "Going forward, Meghan might need someone cut from a slightly different cloth to traditional courtiers, who is not a career civil servant or royal insider," a source who knows her told The Sunday Times. After all, she's reported to have a direct nature that's uncommon among the royal family and she certainly rises much earlier than the others as well, reportedly sending ideas and requests to palace staff as early as 5 a.m. "Meghan needs someone with reserves of energy and patience to help her define her future role," the source added. Whoever Meghan finds to replace her outgoing confidantes, here's hoping they're up to the task of helping her block out the negative stories about her, as a source told Vanity Fair she's made a practice of. "She feels to a degree the British press is out to get her and while she's aware of the news and what's going on, she tries her best not to read all the stories about her," the insider said. It's a wise move from a woman who seems to know what she's doing, tabloids be damned.